You’ve worked hard to get your place in the sun, but for whatever reasons you can’t be there all the time. Maybe you’re still looking forward to that day you can retire or you just aren’t ready to leave the British Isles quite yet. Let’s go through your options to see how you could be earning some extra cash flow and also how to keep your investment safe. Most standard home insurance policies will exclude properties that are left unattended for more than thirty days, so you’ll need to look for secondary cover called holiday home insurance. Companies local to your property will likely be available and these will often offer competitive prices. It’s important to carefully go through the terms and conditions, however, as factors that you might have thought were standard aren’t necessarily included. Specialist UK companies such as UKinsurancenet are available, too, and offer a fast price quote service to get you started right away. They are generally more things to consider when insuring your home abroad such as how the weather will affect the property or even natural disasters like earthquakes. Second homes are often seen as a bigger risk to insurance companies because they could be left unattended for long periods of time. One way to counter this is to consider renting out your property when you aren’t there. Depending on the location of your home, this could prove to a surprising extra money maker adding as much as £1,000 a week to your bank balance. Renting out holiday homes has become a big business now and there are plenty of websites you can try to get an idea about what you could be earning. If you do decide to go the renting route, you’ll need to purchase liability insurance. This will protect you if anybody gets hurts on your property and cover any of the necessary legal costs. You’ve earned your holiday home so make sure you take the appropriate steps to protect it. Better yet, it might even turn into an extra source of income that you didn’t initially plan for. Are you a long time second home owner or a first time buyer? Share your experiences in the comments below. South Africa’s rich and fertile land has produced an abundance of vineyards for centuries and is renowned for its expert craft and quality grapes. From the sloping green valleys and endless horizon of Waterkloof to the historic towns of the Dutch Cape, South Africa has a vast and varied cultural heritage and a destination to suit everyone. Hop on the famous Franschhoek Wine Tram to discover the true essence of the region’s 300 year history as well as a front-row experience of the intricate craft of fine wine making. There are a range of cellars dotted around the beautiful countryside of Franschhoek: hidden gems of family-run boutiques to highly-regarded companies that offer guided tours and tasting events. Discover internationally recognised blends of red, beautifully selected whites, and sensational sparkling varieties as you travel through the breath-taking landscape of South Africa. While in the wine and gourmet capital of South Africa, be sure to sample the local cuisine and enjoy award-winning dishes from chefs of the highest calibre. Head over to Europe for a taste of Cypriot wine culture. Wine making has been part of Cyprus’s history for over 4000 years and there are 48 recognised wineries across the island as well as many smaller, family run ventures. Cyprus is well known for the production of Commandaria wine, a sweet amber-coloured dessert wine that is an after-dinner favourite with locals and visitors alike. Originating from the foothills of the Troodos Mountains, Commandaria wine has been produced in Cyprus since 800 BC and is regarded as the world’s oldest named wine still in production. The popular tourist resort of Limassol boasts a range of established wineries offering tours and trips. 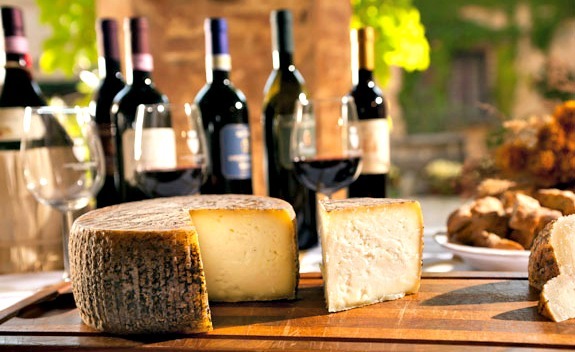 The popular annual wine festival is not to be missed and lasts over 12 days beginning in August. The festival has taken place since 1961 and harks back to a time when many of the families in the region owned a vineyard and would grow wine purely for their own enjoyment. Enjoy Limassol’s fusion of new and old, the modern architecture and the beautiful hotels combined with the ancient ruins of castles and amphitheatres, white sandy beaches and forgotten coves. Located in the picturesque valleys of the Krasochoria region, Zambartas Winery is one of the oldest in the country and the sun exposure and soil qualities produce red grapes rich in flavour and aroma that gives the wine its unique character. If you fancy yourself a bit of a foodie, then one of the places that should be on your bucket list to visit is Morocco. This country at the northern tip of North Africa is full of incredible ingredients, tastes, flavors and aromas, so if you’re looking to go on a holiday and experience first hand some of the finest cooking the world has to offer, travel to Morocco. Although you might think it’s not worth traveling so far simply to experience some local food when you could just pop over to your nearest North African restaurant, we’re here to prove you wrong. 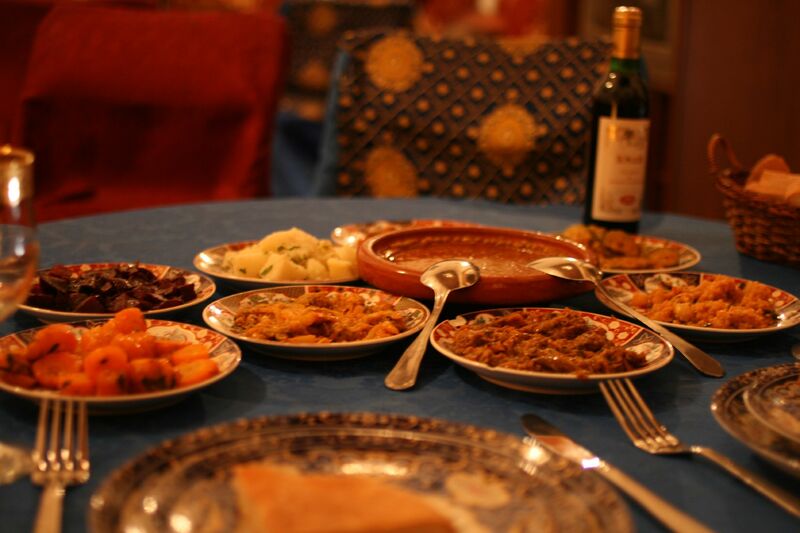 With holiday experience providers like Encounters Travel you can experience authentic Morocco for less than you’d expect, and a significant part of immersing yourself in the cultural experience can be found in getting up close and personal with the country’s cuisine. For your enjoyment, we’ve created a list of local delicacies that are going to get your taste buds watering and your imagination so fired up that you’ll have no choice but to book a flight and take yourself around a foodie trip of Morocco. It doesn’t get any more traditional than this. A tagine is a round clay pot with a conical lid, and the food that can be cooked inside one is bound to be delicious. Generally speaking, ingredients include chicken, lamb, chickpeas, chili, turmeric, and a little bit of drizzled lemon. The trick to any good tagine – as with any good British stew – is to cook it slowly and delicately so that the liquid doesn’t boil. If it boils, the meat goes tough instead of having that essential melt-in-the-mouth quality. Have you ever tried couscous at home in the UK and wondered what all the fuss is about? Well, the reason for that is that you’ve never tried authentic Moroccan couscous. The best way to eat it is to cook a stew of delicious spiced meat and vegetables, and then to steam the couscous over the top of it. You then serve the couscous over the meat stew, and serve the vegetables on the side. For a truly authentic experience, garnish the dish with a buttermilk drizzle. Fancy a main meal that’s a little bit sweeter? Try this quintessential Moroccan meal that takes inspiration from Farsi cuisine. It’s essentially a pie made from a blend of pigeon meat, almonds and eggs, and the pastry is a finely layered masterpiece of coddle. The whole thing is topped with a fine dusting of icing sugar and cinnamon to give it a sweet edge. As you can see, the food of Morocco is simply divine. Although you could just sample the recipes from this Pinterest board from your home, it won’t come close to getting off the plane in Morocco and experiencing it for yourself.